How do I restore projects from the archive? 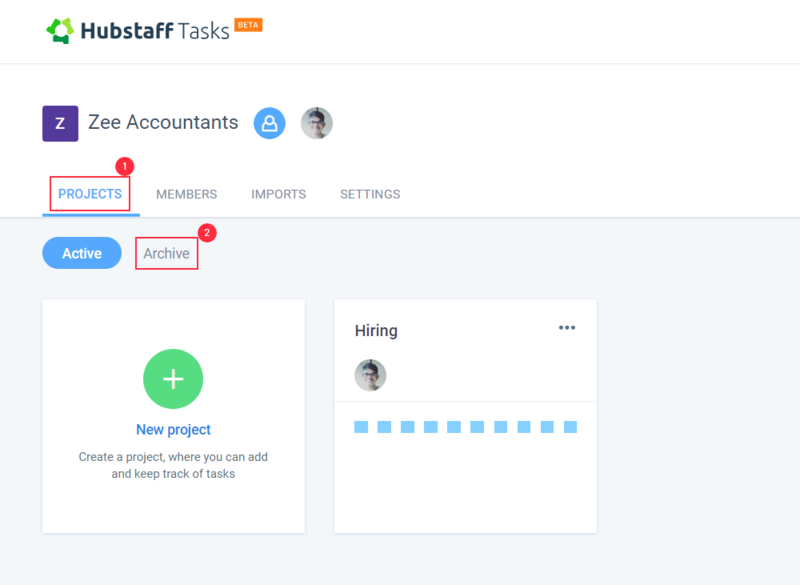 Open your organization within Hubstaff Tasks and under the Projects tab, click “Archive”. After clicking on “Archive”, you should see the list of projects that you have archived. Then click the “Restore” button on the project you want to restore. As you click the ‘Restore’ button, the project shall be activated and you will see a notification on your screen. In your active Project, you can have workflow lists, organize it in folders, have workflow choices, and have tasks for it.